Here's a key of the anatomy of your Grid Admin Dashboard. These are the tabs of your dashboard where your live/published site content, drafts/unpublished content, navigation and site menu information, and design tool tabs live. Your general site settings lives in this toolbar as well. First is your Published tab. This tab shows a collection of posts as preview cards that are currently live and published on your website. Your Unpublished tab is next. All your drafts/unpublished content lives here. All posts default to this tab first. You must open this tab to publish your content that you've uploaded or entered in the editor. When you see "Unpublished" on your post, this means that that post is not visible to others and has not been published to your public site. The Nav tab is where you can go to add a navigation menu to your site. This is a collection of links to Published posts within your current site & links to external URLs. Learn more about Nav here. The Design tab is where you go to modify the look of your site. 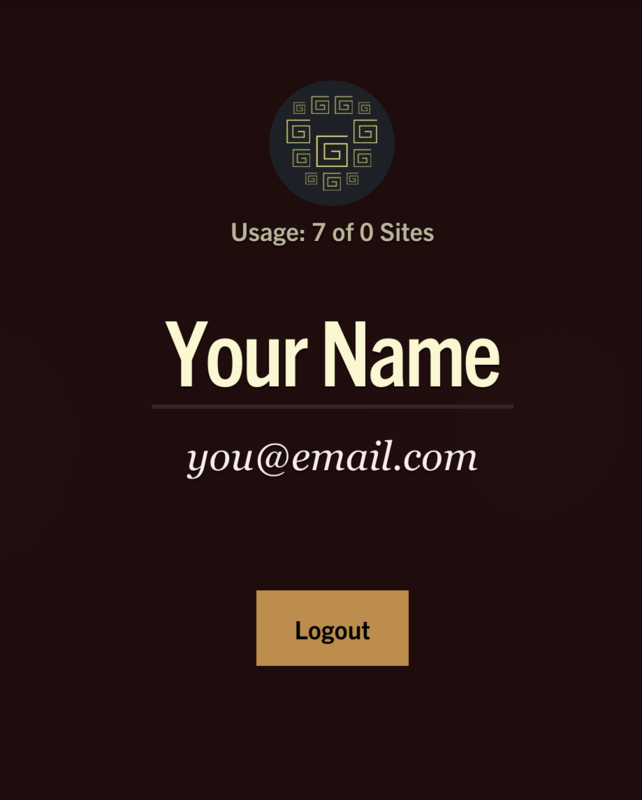 Here you will find a preview card that shows your current site design. You can click Redesign when you hover over this preview to have Molly, our AI magician, walk you through a Redesign. She will ask you here about your Layout, Color Palette, and Typography. This is where you go to change all of those elements on your site. Learn more about designing your site here. Go here to learn more about your Site Settings. Next is the floating Add Content button. Click this to reveal the means to add content to your sites. Click the Add Content button to show your content adding options. Learn more about adding content to your sites here. 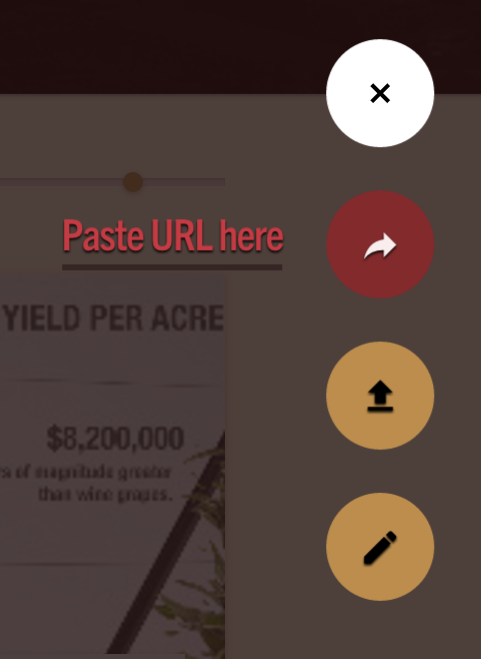 You can Paste a URL, which will create a post in your Unpublished tab, which you can then Publish. This is a direct link post and will style a post for you directly from that URL. This is a great way to add videos, SoundCloud links, or direct links to your tools like scheduling direct links, contact forms, items you have for sale on another website or any other CTA that you host at a third party. Learn more about this here. Next is Upload. Use this tool to upload images from your computer to your site. Each Upload will create a new post for you to edit in the Unpublished tab. Go to your Unpublished tab to publish your Uploaded content. Learn more about this here. Clicking Write something opens up your Editor. Your Editor is you most powerful tool for adding content, from images to create a gallery, to blog posts, to videos and audio hosted URLs. Learn more about this here. 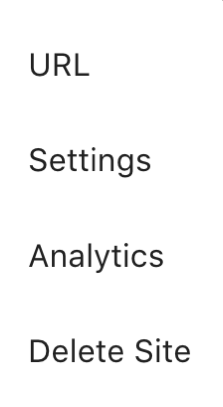 Dashboard slider and view preferences: Moving the circle on the slider will allow you to view your content as bigger or smaller preview cards. Making your cards smaller will allow you to more easily drop and drag your cards into the order you want on your live, published site. When you hover over your preview cards, you'll notice a few options pop up. 1. You can click Edit to open and edit a post. 2. You can click the Globe or the Lock to Publish or Unpublish a post. When you're in your Unpublished tab, you'll see the option to Publish your posts by clicking the Globe icon. When you see this icon, it indicates that your post is not yet published. Clicking the Globe icon will Publish your post. When you're in your Published tab, you'll see the option to unpublish your published posts by clicking the Lock icon. If your post is already published, you'll see the Lock icon. This icon means that your post is not private and that it's Published on your site. When you click this icon, it will lock it and send that post to your Unpublished tab. 3.You can click Share to copy and send a post to one of your other Gridsites. It will send it to the Unpublished tab of the site you share the post to. 4. Click Delete to delete a post. In the upper right of your dashboard, you'll see two things-- Help and the button to access your Grid Account info. Click Help to contact support! We can't wait to help you out!